Alarm by Bbbler (Android) - Single-step setup! ~ Android Forever! 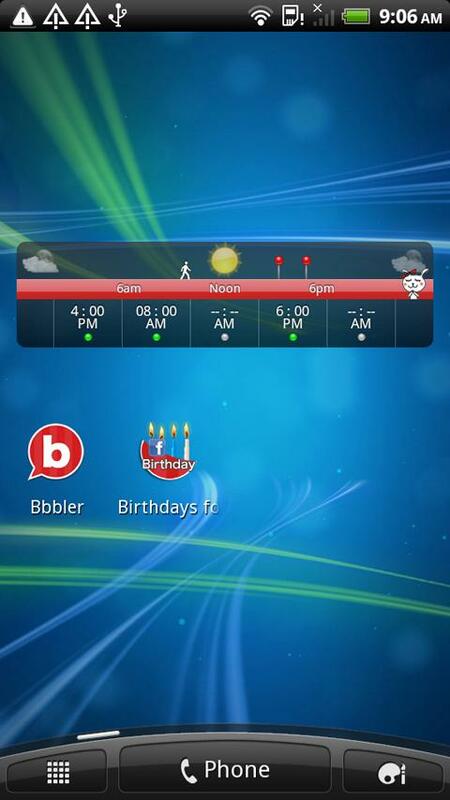 Alarm by Bbbler (Android) - Single-step setup! After one-stop-shopping, nothing beats single-step setup, am I right? No one wants to be fiddling with their alarm app on Thanksgiving, but my alarm for work got me up at an unholy hour this morning because I forgot to unset it last night. Why did I forget to unset? Because it's out of sight and out of mind, that's why. This app has a different take on the alarm app in that it has a nice visual widget on your home screen, which shows you your alarms for the day, and allows you to set them right from your home screen. Check it out! Alarm by Bbbler is only $0.99 on the Android Market!